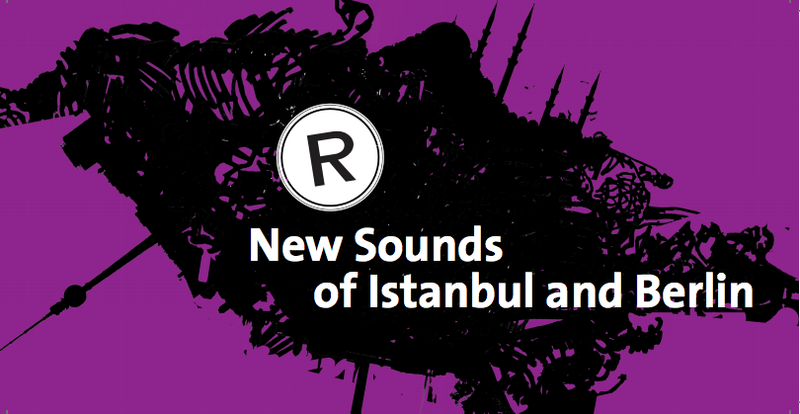 Korhan Erel will play two concerts with his two Istanbul-based projects on March 14 at Radialsystem in the New Sounds of Istanbul and Berlin event organized by Borusan Music House (Istanbul) and Radialsystem (Berlin), and curated by Ipek Ipekçioğlu. The first concert will be with Islak Köpek at 19:00. Islak Köpek is a free improvisation ensemble founded by Korhan Erel and Şevket Akıncı in 2005. It has been at the forefront of experimental music in Turkey ever since and has pioneered the beginning of free improvisation as an established genre in Turkey with several festival, television appearances, sometimes going to the extent of having made fun of in Turkish TV shows, as well as two albums released in Turkey and the Netherlands. The ensemble will be celebrating its 10th anniversary with a first-ever international appearance. Berlin-based cellist Nora Krahl will join Islak Köpek for this concert. Nora is no stranger to new and experimental music scenes in Istanbul and has played several concerts with the members of the ensemble in and outside Turkey. The second concert will be a collaboration with Istanbul-based percussion trio sa.ne.na at 23:00. This collaboration was initiated by Korhan Erel and Borusan Music House in 2012 and was performed at the venue in the beginning of 2013 to much acclaim. The group will perform own compositions that bring together new music elements with danceable music as well as a reworked version of Frederic Rzewski’s seminal piece “Coming Together”. This entry was posted in Performances and tagged Almanya, avantgarde, çağdaş müzik, özgür doğaçlama, Berlin, bilgisayar, Borusan, cello, computer, contemporary music, dance music, davul, deneysel müzik, der nasse hund, Deutschland, doğaçlama, doğaçlama müzik, drums, electric guitar, electro-acoustic, electronic, electronica, elektrik gitar, elektroakustik, experimental music, Free Improvisation, Germany, gitar, glockenspiel, guitar, IDM, Istanbul, kalimba, mallet kat, marimba, MIAM, nasser hund, new music, radialsystem, saksofon, saxophone, Turkey, vibraphone, vurmalı sazlar, vurmalılar, wet dog, yeni müzik. Bookmark the permalink.